When an Italian assassin's body is found floating in a barrel in Victorian London's East End, enquiry agent Cyrus Barker and his assistant Thomas Llewelyn are called in to investigate. 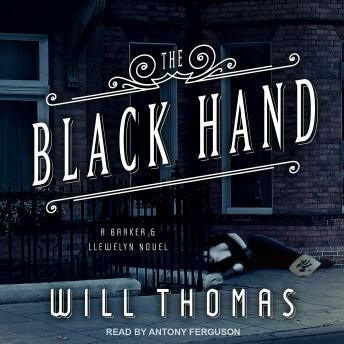 Soon corpses begin to appear all over London, each accompanied by a Mafia Black Hand note. As Barker and Llewelyn dig deeper, they become entangled in the vendettas of rival Italian syndicates-and it is no longer clear who is a friend or foe.